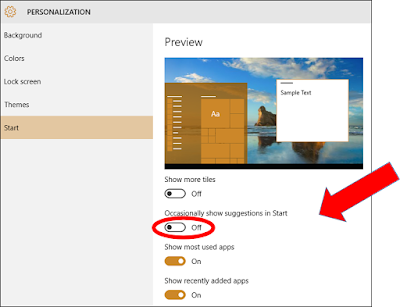 If you have Windows 10, you've probably seen the ads -- or as Microsoft calls them "suggestions" -- in the Start menu. You didn't think your free Windows 10 upgrade was really free, did you? There's an easy way to disable these annoying ads. Toggle the "Occasionally show suggestions in Start" option to "off"
That's it! No more ads or suggestions in the Start menu in your Windows 10.